The New Hope Women of Today would like to congratulate the recipients of the 2017 Lavon H. Cooper Scholarships. We love the city of New Hope and the surrounding communities. That includes the 281 School District. Every year we raise funds to help various programs throughout the district. It is important to us to continue supporting students after they graduate. 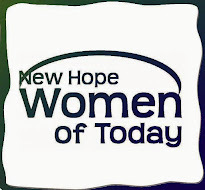 The New Hope Women of Today Organization is proud to offer the Lavon H. Cooper Scholarship to former high school graduates of Robbinsdale School District 281 (Armstrong, Cooper or Highview). Scholarships awarded range between $500 and $1,000. The 2018 application will available April 2018. Save the Date - Holiday Craft Night!